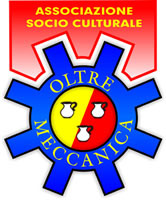 OltreMeccanica | Meccanotecnica Riesi s.r.l. Founded in 2013, OltreMeccanica is a project we started here at MR-XPM to provide a second home for all members of our staff. Oltra Mechanica focuses on bringing our staff and their families together to celebrate the holidays, birthdays, achievements, and anything else that helps build team relationships. We aim to give back to the amazing staff who makes everything possible at MR-XPM.